We are not the first generation of Americans to be fighting to claim the rights of full citizenship. Yet, I know that right now some are struggling with the question of “how” to work for change against what may sometimes feel like insurmountable odds. I know that is a struggle because young people ask me for guidance; what can I do Dr. Nacoste? 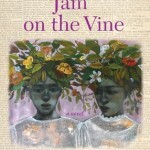 I just finished reading an important novel; “Jam on the Vine,” by LaShonda K. Barnett. A story of “colored people” in Jim-Crow East Texas, that begins in 1897. Our heroine, Ivoe, is a curious, intelligent child. You see, Ivoe’s world is disheartening, vulgar, with vicious racial hate around every corner. Ivoe has to live through and see too much inequality and hot, violent, racial-hate aimed at black people. As she begins her work, Ivoe herself is accosted and beaten by police for what she writes in her newspaper. Yet with her education and focus, through it all, Ivoe finds a role; she finds a way to be of some use; she finds her voice. That is what makes the novel more than a novel. 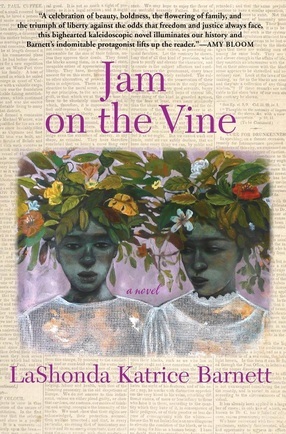 Lyrical in the writing, strong, vivid, heart wrenching and compelling in the storytelling, profound it the racial history of America it reviews, this book becomes a call to us all. Find your way to make a difference in our difficult days. And no, we should not all be doing the same things at the same time. As was true in Ivoe’s time, many different hands are needed to make the work effective, to change the story we are living. In that way, Ivoe’s story can be a motivator. Ivoe’s story, you see, is an example. Yes, this is a fiction, but a fiction crafted from our American history in which strong and determined persons found ways to make a positive difference.